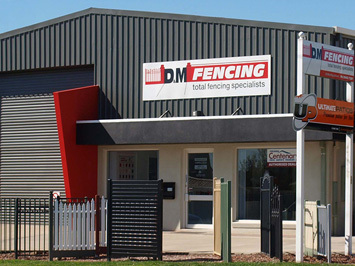 D & M Fencing have been serving Bendigo and surrounding areas since its establishment in 2002. With over 40 years experience the team at D&M Fencing have a wealth of knowledge in the fencing industry which keeps us a step ahead of the rest when dealing with your project. Our showroom and friendly staff are located at 203 Breen Street in Bendigo. Here at D&M Fencing we have all different types of fencing made to order so you can be certain to find the one that suits your needs, lifestyle and budget. We specialise in various designs of tubular fencing, aluminium slat screening/fencing, aluminium or steel picket fencing, ColorbondÂ® steel fencing, glass pool fencing and balustrade. At D&M Fencing, we can either supply you with all the materials to complete your project or have one of our experienced staff complete the job from start to finish. 03 5443 7381 or send an enquiry via our online form.